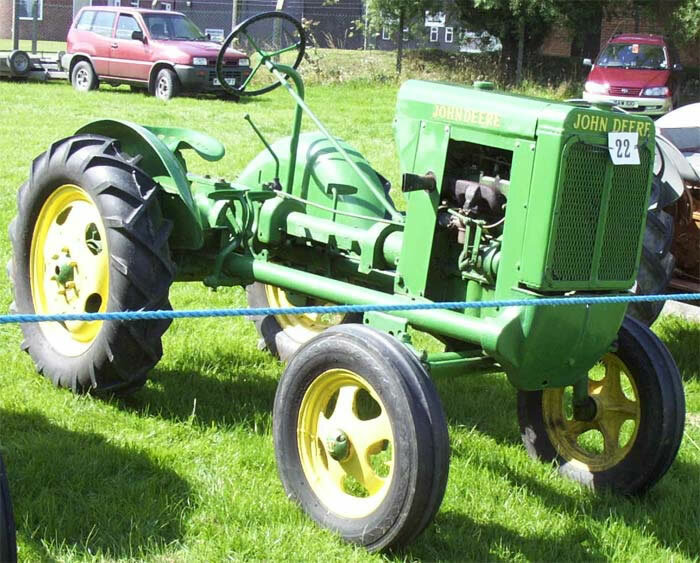 The John Deere JD-62 Tractor was the smallest tractor in the John Deere range, the Model was renamed as the L series shortly after entering production, as such it was produced from 1937 to 1946. The engine was a vertical side-valve twin cylinder petrol/vaporising oil engine rated at 9.1 h.p. at the draw-bar and 10.4 h.p. at the belt pulley. Engine working r.p.m. was 1,550. Transmission was via a three forward and one reverse speed gearbox. A total of 13,365 units were produced.